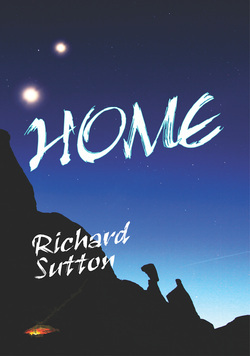 Richard Sutton was born in California in 1952 and has lived in every Western Coast State. He's been writing in one form or another since High School. "The poetry I penned when I was young, remains hidden from the outside world." The author added, "It's really for the better. I can't even read it myself, but my stories were another thing entirely." After college, he was an Oregon commune guitar-playing goatherd, tree-planter, cannery worker, health food store manager and artist. He also worked as a ski mechanic and as a frame carpenter before making the move to New York where he worked as a receiving manager for a fashion company, a ski retailer and built his career in advertising design and freelance copy writing, eventually establishing a design studio on Long Island. 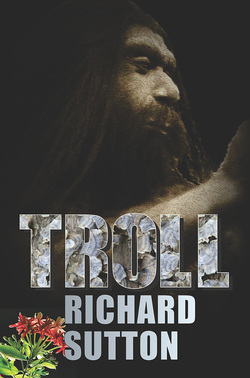 He turned Indian Trader full-time in 1989, operating his family business in authentic Native Indian arts successfully for more than 20 years before completing his first novel. "I just keep finding new hats whose fit I like." says the author. He's settled snugly into the writer's hat and has several new novels in the works. He met his wife on Canal Street in NY's Lower East Side in 1973. They have lived in New York and in New Mexico ever since, enjoying sailing, their family and their cats. An unexplained drowning...a muddy fall. The story begins with a rainy funeral in Dublin in 1912. 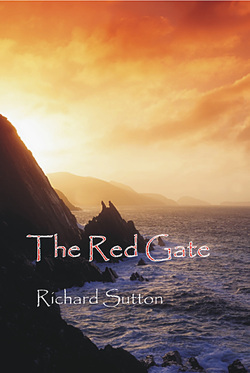 A very traditional, Western Irish sheep raising family are harboring a secret holding them to their land and to an ancient promise. A chain of unexpected events, a dark discovery and an ancient secret all threaten their future. In the process of finding the truth, they must put aside personal failings and open up their lives to defend what is rightly theirs. A devious plan hatched by a greedy academic, may soon reveal their secret to the world. This they must prevent at all cost. Through it all, their good humored manner of removing obstacles, both figurative and solid, reminds the reader that not all sources of strength are apparent. Despite loss and fear, they learn that help can come from sources seen and unseen and soon, they discover their place in the greater world. How do you keep a secret from family? Is there any point in trying? The O'Deirgs must protect their ancient Irish legacy. But their family is growing steadily and violence creeps closer than they know. Their happy life is upended again as lost family returns from America. The Irish Civil War, raging in the cities, now threatens to engulf a close family member in its terrible struggle. Maybe the blame lies with the local butcher, his shady secrets and his well-spiced sausages, or on the O'Deirgs' long history, or on the cousins from America, or on the practices of the Church, or on the local Innkeeper's past, or on the sheep - or maybe not. 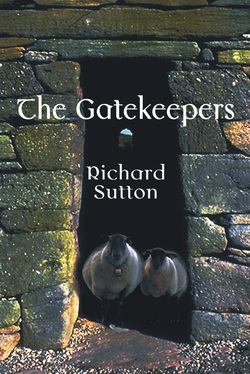 The Gatekeepers is the sequel to The Red Gate, which introduced the O'Deirg Secrets to the world. Forty-two teachers, scientists, engineers and their children, have just completed a twelve year deep-space journey to escape the war and drought ravaged Earth. A carefully selected band of hardened survivors, they are to be colonists on the planet Nakis. Lying at the edge of the galaxy, it's a new world that they hope will let them build a safe life together. Unfortunately, within two days their ship, all their supplies, tools and technology are destroyed in an unforeseen melt-down of the crystalline core of their laser-driven vehicle. As they scramble up to take shelter in a rough cave above the valley floor, those watching the melt-down find that survival will mean resurrecting the ancient technology and forgotten skills of their Paleolithic ancestors. If dodging ever-lurking predators isn't hard enough, soon they discover the uninhabited planet they are marooned on, isn't exactly uninhabited. Nakis has not provided the home they had willingly traded their old lives for. They have been reduced to foraging for subsistence. No strength, no defenses and now: powerful, potential enemies waiting in the darkness. If lasting peace with the native humanoid species eventually comes, it will not be without incidents that try their empathic hosts' patience. Rigid, bunker-mentality and religious stubbornness prevails among many of the original mission founders and a growing anger emerges that may doom the human colony. But a breakthrough cooperative experience binds them all together in a completely unexpected way from a source no one considered. Will this illuminate their path to finally finding the home they had hoped for, or will it drive a deeper and darker wedge between them and the Naku? At what point did humanity learn to fear each other? To hate? Paleo-Anthropologist Ariel Connor thinks she knows. She just can't prove it yet, but her newest find, high in a Norwegian Valley may give her the proof she needs. Those scary stories we've told our children to keep them from roaming too far outside the gleam of the porch light may have come from real incidents, many, many years ago. While Dr. Connor's excavation continues, the story of what happened is slowly revealed. Two clans are converging on the remaining game lands. One will have to leave their homes, one will tell stories and sing songs of their own bravery. One people will disappear while another will bring their history into the modern world. One way of life will be lost, but does the better way endure? What have we learned from the ancients that would have been better forgotten? Sullivan Ortega has just returned to his empty childhood home in Santa Fe to pay his respects to the last of his family, his sister Maggie, killed in a single-car crash. He's trying to put his life back together, but along with a bad temper, he's got few prospects or real friends. Learning what happened is taking him somewhere he doesn't want to go back to. Second chances can get messy. Sullivan Ortega has just returned to his empty childhood home in Santa Fe to pay his respects to the last of his family, his sister Maggie, killed in a single-car crash. 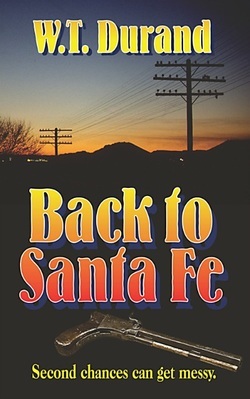 He's trying to put his life back A new teenager in a small, Oregon logging town, Jack Taylor's bored with school and living in his own head. Walking in the forest, he finds dark mysteries in an old-growth cedar grove near his new home. The story handed down several generations doesn't tell the tale completely, nor do tales of lurking giants in the trees, an Indian curse, or the abandoned locomotive deep in the woods. As he asks questions of his teachers and local families, he finds himself pushed more and more into a corner from which there is only one way out. 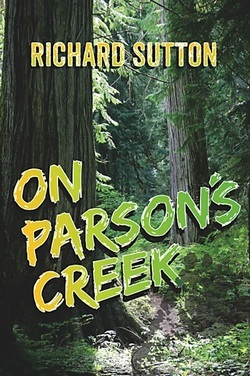 With the reluctant help of a local historian, his Physics teacher, a school friend and an ancient logger almost as old as the trees, he begins to put the clues together. The story unravels a community conspiring to hide the entire truth from the world. But, is that wrong? Maybe the world doesn't need to know. Recommended for older teen readers on up to adults who haven't forgotten the teenager inside.